Do we love our “virtual personality” enough online? Over 50% of the world population is under 30 years of age with those at school and college never having licked a stamp nor having to wait while their broadband dials-up. In world terms Facebook now has a larger audience than the population of any country, LinkedIn has lowered its age limited to 13 and by 2020 it is predicted video will account for over ¾ of all mobile phone use. We no longer have a choice to engage with digital and social media, the choice is how well we do it. But this is where the challenge for young people living in rural areas begins. You may have already heard about the Rural Youth Project – launched in February this year by our team at Jane Craigie Marketing focusing on the challenges, aspirations and opportunities for rural youth between 18 and 28 years of age. Following our work in leadership, communications and my previous role with Scottish Association of Young Farmers Clubs as Communications and Rural Affairs Manager, we found any current research on rural youth was outdated or focused on a specific area and did not look at life as a whole for a young person living, working or studying in a rural place. The project, which included our Ideas Festival that was hosted on my family farm in Kinross, Scotland earlier this year, with support from Rural Perth and Kinross Leader, carried out an online survey with 755 young people from across the world. Among 60 questions, it looked at connectivity. 94% of our respondents believe digital connectivity is essential to their future in rural places, yet currently slow speeds and poor mobile phone coverage is having a detrimental impact on their lives. These limitations create practical implications, such as route to market for micro-businesses or access to online training; as well as social implications linked to social isolation. Communicating and the use of social media was their primary reason for requiring access to broadband with 85% of respondents identifying these as key areas, and yet only 13% had access to high speed broadband infrastructure. Over half of our respondents used their internet connection to access training or education indicating a desire to learn, upskill and share knowledge. 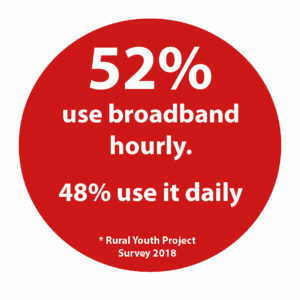 However, worryingly, it could be argued rural youth are “addicted” to broadband with 52% using it hourly and 48% using it daily. The need to be connected 24-7 with a virtual world has developed expectations that are beyond our current control with a number of our respondents attributing social media to their poor mental health. As friends and family share their life via the various channels, it can at times gloss over the real picture and instead shows an idyllic perception that young people are envious of and feel left out. However, there is a place in our lives for social and digital media. The ability to use a fairly low cost if not free online platform to engage users via forums, groups, polls and online surveys can be advantageous in ensuring their voice is heard. Likewise opportunities such as online training, virtual businesses, promoting events and the ability to work anywhere in the world is allowing people to have a better work-life balance. The use of social media channels such as LinkedIn and Twitter are helping to generate personal profiles that we have full control of, with some employers looking at these channels before a C.V. to see if the applicants personality and online responsibility fits with the company ethos. In the scenario of the Rural Youth Project, our social media channels are active in sharing the stories of 18 young people who are vlogging from across the world to help them and others. By highlighting their own personal challenges and opportunities, we have formed a new online friendship group with individuals from Australia, Canada, the Netherlands, Sweden, the USA and UK who are all able to relate to one another through their passion for their rural areas. We talk about digital tools in terms of connecting, networking and empowering young people so they can lead in the future but with infrastructure challenges and a false perception influencing mental health, do we need to do more to help young people to be leaders and entrepreneurs not only offline but online too? It is certainty something we will be developing as part of the Rural Youth Project’s next steps. 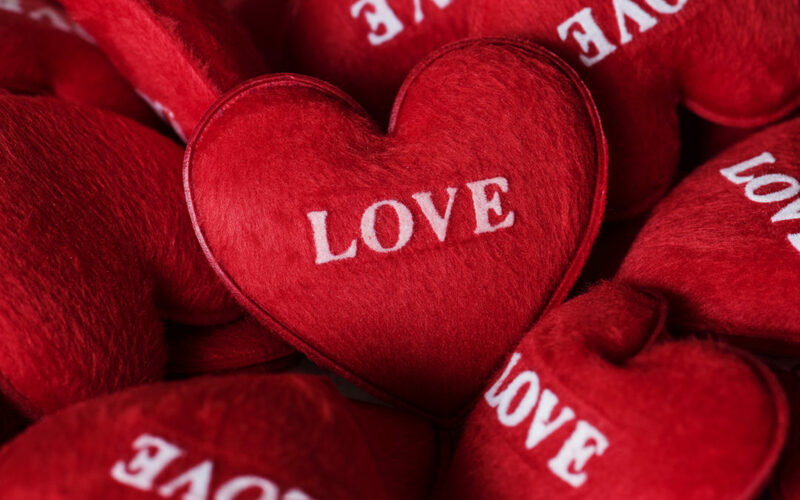 The most used hashtag is #love, perhaps we need to give young people the confidence to love themselves more so the content they share on social media is real and, unlike the findings of our survey, they don’t feel the pressure to be online every hour of every day for fear of missing out. Rebecca has a first hons degree in Events Management and is a graduate of the Scottish Enterprise Rural Leadership Programme. She is a Director for Scottish Rural Action, Judge for Lantra Scotland Land-based and Aquaculture Learner of the Year Awards and Scottish Co-ordinator for LEAF Open Farm Sunday. She has a real passion for technology and digital communications, and is a farmers daughter from a mixed livestock farm with her own herd of pygmy goats.